Northern indie-pop band Pale Waves have recently announced a 14-date UK and Ireland Tour set to take place during September and October this year. After they’re finished rocking the UK, the band are also heading out across mainland Europe and America on their European and North American Tour. The band will also be making another appearance at Reading and Leeds Festival for the second year in a row before heading out on their long-stretch of shows. 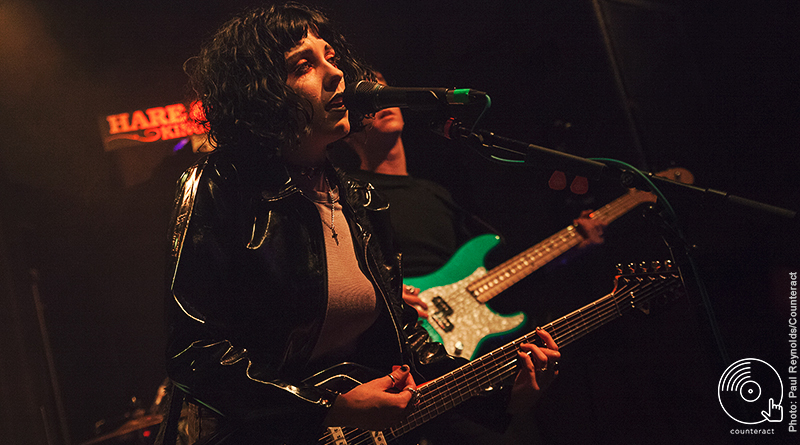 Last month, Pale Waves released their newest single ‘Kiss’ which featured as Radio One’s Hottest Record In The World and is jam-packed full of crisp guitar riffs and lyrics echoing tales of love and romance. Pale Waves’ debut album is expected to be released in the next few months, though this has not been confirmed. Hello – you’ll find me in a library or most likely at a concert. I enjoy music from the likes of Ben Howard to Mallory Knox (and everything in between). Hello - you'll find me in a library or most likely at a concert. I enjoy music from the likes of Ben Howard to Mallory Knox (and everything in between).